proMX GmbH together with Microsoft begins the Road to the Repeatability (R2R). The best companies all over the word had a great positive experience of being “repeatable” and this is a reason to start using this progressive way. The first “station” on the road to reforms of strategy and methodology of the company was the unforgettable trainings organized by Microsoft. We are very grateful to Sabine Schorp, Partner Sales Executive CRM MS Dynamics, for organizing these events and being with proMX with her soul and support. Next, but not the least, our thanks go to Guus Krabbenborg, who gave us a huge amount of advice and ideas in both leadership and marketing on R2R. These days, spent in Cologne and Munich, were full of pleasant moments, meetings and of course of inspiration of every participant. The next step on the R2R is the great reorganization of our marketing, sales and product development departments. All of them work now as a single interconnected mechanism, support each other and have a wonderful all-in-one-boat feeling. Our IP (Intellectual Property) now is being sold as a service and starts to increase the market share all over the world. The changes in our product proRM Business Solutions were not very easy technologically, but so necessary for our customers. They have a continuous character and make becoming one better day after day. Historically, when proMX won the Microsoft Partner of the Year Award for the first time, it was a single full-fletched functionality product migrated from CRM 4.0 to CRM 2011. Our customers had to buy the full version, independent on whether they used and needed the certain functionality or not. But 2012 and 2013 years have become evolutional for the product and it evolved almost from scratch. 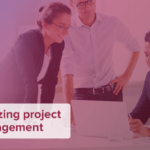 Now it consists of 22 separate Apps, which deliver sophisticated functionality from Project Gantt, Approval Manager, Controlling Manager, Resource Assignment and Planning to the Invoicing with aggregated information about fixed prices, time and materials, and expenses. So currently, our customers receive additional value of using only individually required functionality. 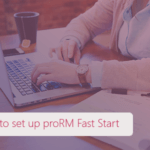 The installation process was significantly simplified with the new proRM Setup Wizard. It has been extended with a demo data and pre-configuration part. Security is one of the proMX’s priorities and this was a reason to implement our own serial key generator, which is available via our website and well-known Microsoft Stores (Office365, Windows, Windows Phone, Azure, Dynamics Marketplace etc.). This is the “One Microsoft Strategy,” which we follow together going into the new era of IT. R2R makes the Cloud technologies even more important. They growth customer trust and decrease their risks. Using proRM Business Solutions in the Cloud, the customers do not have high advance payments and thus it is easy to start the way to success faster, and to change the amount of Apps as well as other requirements at any time. We try to be heard. It is a real challenge to explain our product for customers in simple words. However, this is an important part of what we do. If you do not understand, what I am talking about, watch our video and let us know your opinion here. We are keen to hear. The feedback of our customers and partners helps us to understand their needs closer and to conceptualize the direction of our R2R better. The great proMX partner network continues to grow and the tempo of this process increases every day. To know more about our dedicated partners and their way to success with proRM Business Solutions, read the case studies. If you want to become a proRM partner, do not forget to let us know here. 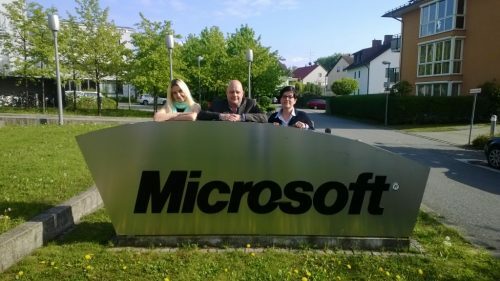 Now we have even more reasons to be sure, that our Road to Repeatability goes in the right direction due to becoming „Microsoft Partner of the Year 2014 – Germany“ and because of our customers, who have reported the positive changes in their projects and resource management along with a significant decreasing of costs. If you are still not with us, the only reason is – you have not tried the solution. Do not forget about Online-Demo possibility and be successful with us!